In a Nutshell: Most people have seen photos of children with cleft lips in passing — and they assume the problem is merely cosmetic. But cleft lips (and palates) are a serious medical condition that can impair a child’s speech, hearing, and breathing. 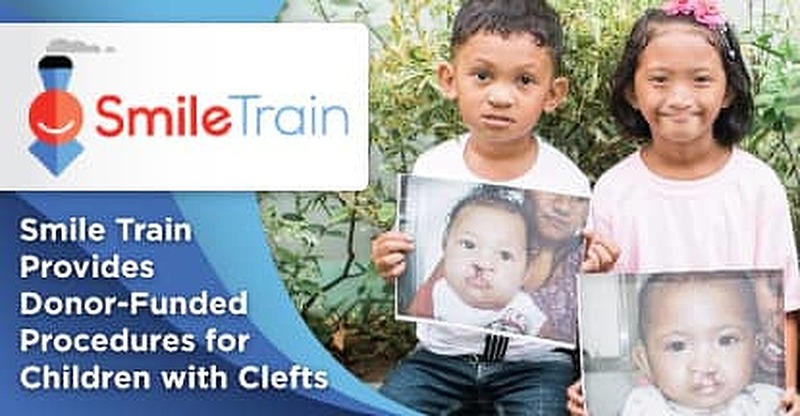 Smile Train is an international charity that empowers local medical professionals in the developing world to help kids receive free cleft surgeries and comprehensive cleft care. A $250 donation can cover one surgery — and give a child their “forever smile” — a great way to use credit card cash back rewards. We spoke to Smile Train’s Communications VP about the various donation opportunities and the organization itself. Renowned comedian Jimmy Pardo was also quick to donate to the cause, creating an annual telethon-style podcast marathon dubbed “Pardcast-a-Thon” that has raised more than $1 million. Television personality Kylie Jenner also raised nearly half a million dollars for Smile Train. Many people donate to Smile Train, and a sampling of donors’ compelling stories is on Smile Train’s website. The organization exists largely because of these generous donors. 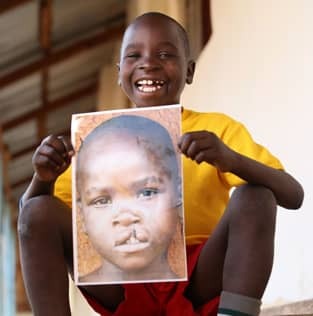 Founded in 1999, Smile Train has helped more than 1 million children receive free surgeries to repair their cleft lips and cleft palates, as well as ongoing cleft care. It has also trained doctors and medical professionals in 87 countries. 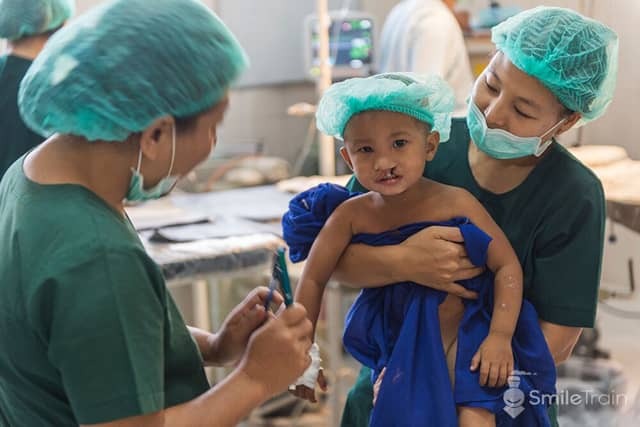 Smile Train’s partners are the local hospitals, where the local medical professionals are required to follow the organization’s strict Safety and Quality Protocols for best cleft care practices, Mason said. They must provide ongoing reports and detailed documentation of the children receiving services through their programs, including before and after surgery pictures. The treatment details are reviewed by members of the organization’s medical advisory board, and the organization’s local medical partners have to upload treatment records to Smile Train’s medical database, Smile Train Express. 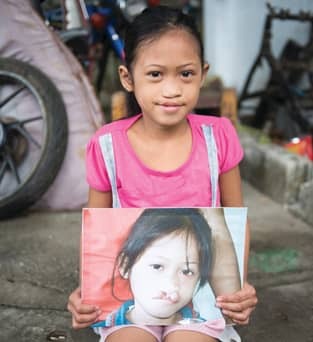 Surgeons in developing countries help repair cleft lips and palates for children whose families cannot afford the procedure thanks to Smile Train and its generous donors. It’s a true partnership model as Smile Train helps cover the costs associated with cleft surgery, which, on average, can cost as little as $250 in the developing world, and its partners can apply for grants for other cleft-related services. “There are programs for nutritional support prior to surgery to make sure the children have the healthiest surgical outcome,” Mason said. “There are also grants, where available, for speech services, orthodontics, dental care, and psychosocial services, because we frequently see that children with untreated clefts may be ostracized and bullied. Though the causes of clefts are unknown, there are various factors that experts agree may increase the likelihood of a child being born with a cleft. Experts also say contributing environmental factors include drug and alcohol use, smoking, maternal illness, infections, and lack of folic acid or Vitamin B. Physiologically, clefts occur early on in pregnancy when there is not enough tissue in the mouth or lip area, and the existing tissue does not join together correctly. A cleft lip is a split in the two sides of the upper lip, which often extends to the base of the nose and the bones of the upper jaw and upper gum. Cleft palates are splits in the roof of the mouth involving the hard and soft palates. Children are born with clefts all over the world. One in 700 children is born with one, and are the leading birth defect in many developing countries. The incidence of the birth difference is believed to be higher among people of Asian descent, with a rate of around 1 in every 500 children. Children with untreated clefts may face a lifetime of discrimination and isolation. In developing countries, many children with untreated clefts do not go to school or grow up to have jobs. Cleft repair surgery is safe, can take as little as 45 minutes, and can change a child’s life. Smile Train has several options for people who would like to donate to its cause. Some people may be inspired to simply make a cash donation to cover the cost of one surgery or use their credit card cash back rewards to do so. Making a donation can be done simply by visiting Smile Train’s website and clicking on the donate tab. Other people opt to support the organization by joining Smile Train’s athletic fundraising program, Team Empower, and donating funds raised for marathons, walks, or other races. 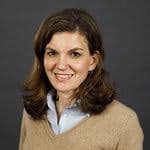 “We also have really active community fundraising programs,” Mason said, adding they frequently have film screenings, talent shows, and lemonade stands in various communities. There are also event-based ways to donate: For example, people can accept donations as wedding or birthday gifts. Goodwill Ambassador Christie Brinkley has donated her birthday to Smile Train for the past three years, raising $139,000 in that time.